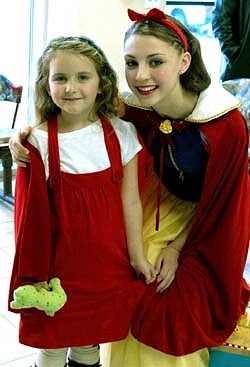 Subject: LongIsland.com - Your Name sent you Event details of "Fairytale Camp"
Summer fun for the Princess in your life. If you have a child that loves music, dance, arts & crafts, story time and making new friends, then this is the camp for her. A healthy snack and drink is provided each session, warm up exercises, ballet class, story time, creative movement and an arts and craft project that the children bring home. We put the emphasis on fun, but there is a structured environment and a basic introduction to dance skills. Proper French Ballet terminology is taught during ballet class. Join some of your favorite Princess characters for fun and learning.